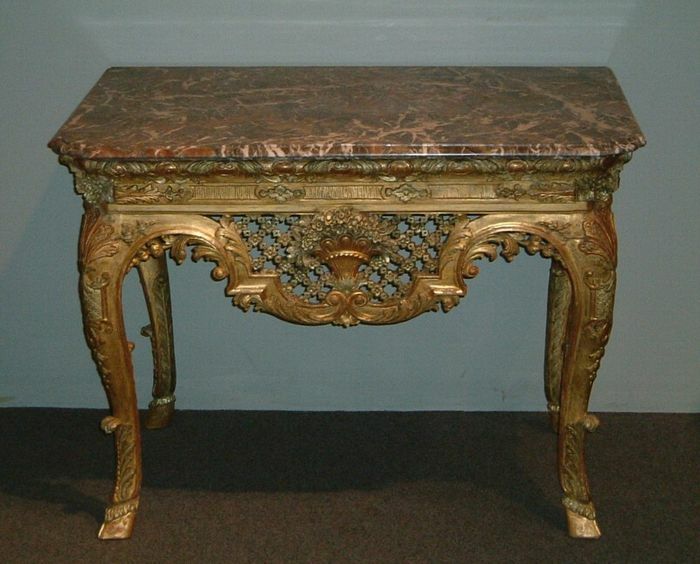 Unusual pair of 18th Century, South German, giltwood console tables on cabriole legs, carved with anthemion and acanthus, terminating on hoof feet. Original variegated, original, marble tops. Germany circa 1730.